I’ve talked in the past about the fact that the release of Mac OS X 10.7 (Lion) will mark the end of Quicken compatibility on the Mac platform. In the absence of a workable solution from Intuit, your options will be to stick with OS X 10.6, switch to Quicken Essentials for Mac (no thanks! ), run Windows on your Mac, or switch to another software package entirely. Hat tip to Scott Marc Becker of IGG Software for the tip. 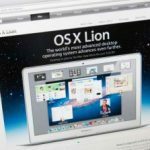 Will Mac OS X Lion Kill Quicken 2007? 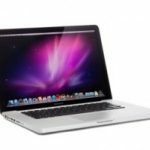 Intuit to Update Quicken 2007 to Run on Mac OS X Lion? Thanks for all the good discussion on this topic. I’m also a long- time Quicken user, on 2007, and I decided to go the Parallels/Windows route. So far, I’ve been unsuccessful in converting my file from Mac to Windows, and the Intuit support staff has been no help. They even told me that conversion would not ve clean. On this, they were correct. Account balances were wrong, dates did not convert correctly, etc. I don’t recommend converting your Mac file to Windows. The Intuit support guy I spoke to (from India) said he heard that Intuit may be supporting the full-blown Quicken Mac version in the future; I’m not sure how much truth there is in this. Does anyone else have info. on this rumor? Where was this advice that was apparently everywhere? I get my town newspaper, nothing there. If you’re referring to any articles written in computer related magazines, well I don’t subscribe. Just an average computer user here. It wasn’t until after I upgraded that I did a search and found numerous warnings. All too late! I agree that Intuit is all about the Windows users, but frankly, this doesn’t help my situation. As far as restoring Snow Leopard, if I wanted to throw money down the toilet, I would have just flushed the $30.00 rather than giving it to Apple for the upgrade. I’m looking for a resolution to my situation, not more opinions pointing out what I should have done first! So thank you for your input but, NO! 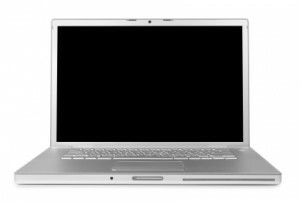 If you had followed the advice seen everywhere, you ould have clicked on the gr ay Apple, then About this Mac, then More Info, then browse to Software Applications, sort by Kind, and look at all the applications you have that are marked PowerPC–all of those are cooked when Lion is installed. So Quicken is the bad guy here–not Apple. Quicken apparently only cares about Windows users, not Mac users. 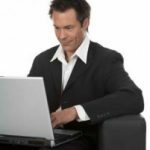 Intuit needs to re-write Quicken for Lion. Meanwhile, call Applecare and have them tell you how to restore Snow Leopard–then you can run Quicken for Mac 2007. Well I updated last Thursday. I clicked on the apple link through an email,clicked upgrade now and once it was completed, discovered the applications that I could no longer use. There wasn’t anything in the email or on the upgrade page saying “Warning this will kill your Quicken!” Wouldn’t that have been invaluable information. I love and use my Quicken regularly and now I’m left with no access. I’m sure I’m not alone in this. Apple what will you do now? Is it possible to extract the data from Time Machine, send it to someone with Qucken2007 on SnowLeopard, have them do something with it and then port it over to a Lion compatible application. 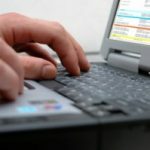 I’ve been doing banking solely on my computer for the past year. I haven’t updated my checkbooks so it’s essential that I get the data from TimeMachine or wherever and keep working on them. Bad for Intuit to neglect Quicken. 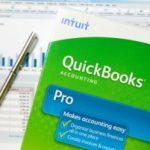 If it isn’t for the need to use Quickbooks because almost all CPAs use QB, I’d drop Intuit in an instant. 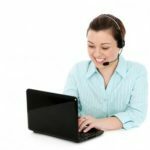 What other software is available that will use the Quicken for Mac 2007 data and allow me to make online payments, reconcile all my checking accounts and make customized reports for my accountant?